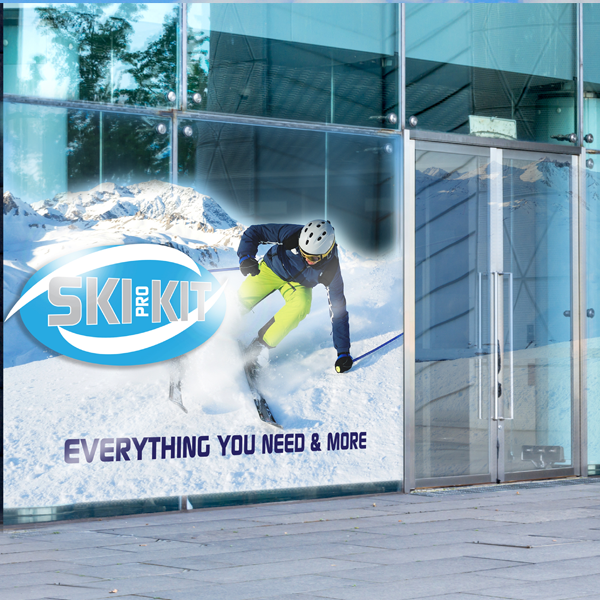 Polar Polymeric Clear RC is a premium printable self-adhesive vinyl for general signage, point-of-sale display, window, floor and vehicle graphics. 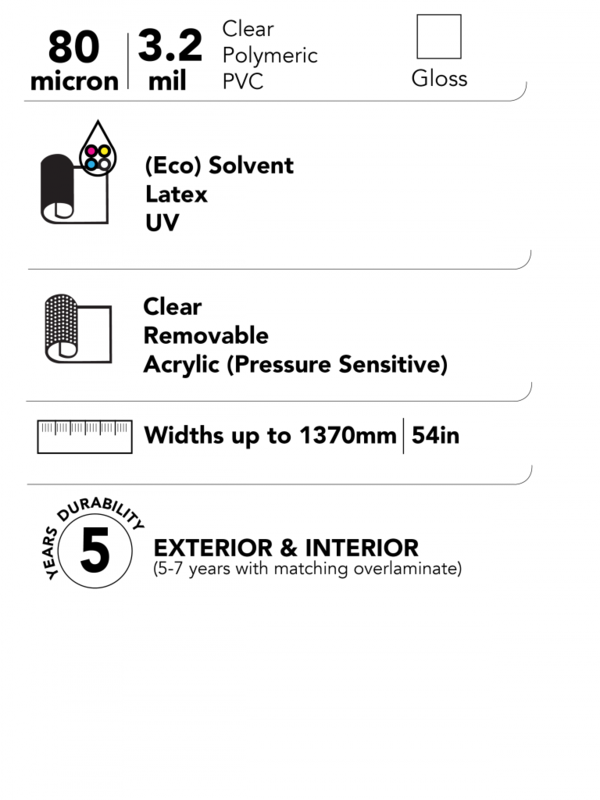 The premium clear gloss PVC film is available with a clear removable adhesive. The removable adhesive of Polar Polymeric Clear RC is recommended for short-term applications. The removable adhesive allows for optimum adhesive performance on a wide variety of substrates, especially windows.